While cleaning some boxes containing a series of different toys from different lines, I came across this fantastic horse. However, to this day, I had no information about it. Thanks to an anonymous contributor, I now know. This beauty belongs to a line of dolls. Yes, you read it right! And which one? 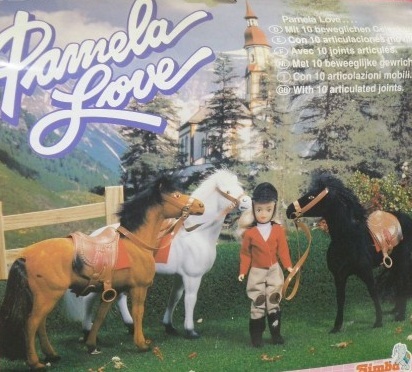 Pamela Love... the Barbie-like line. I´d never guess!!! 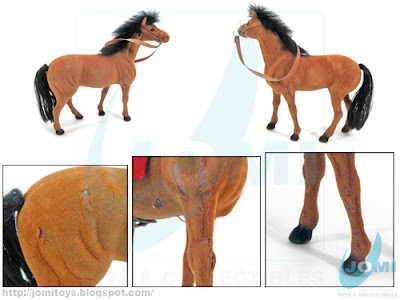 The closest I ever got to identify this figure was Remco´s Lost World of the Warlord figures. 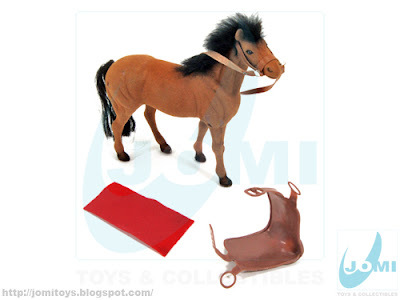 However, those didn´t come with this saddle or red rug. And the painting is different. 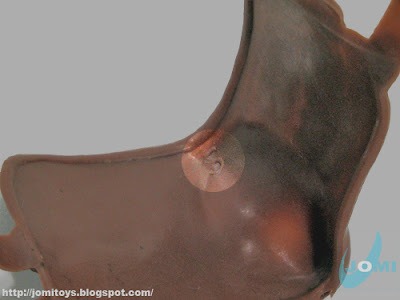 The mold lines, however, seem to be the same. Its body came to show this was probably not a knock-off. This is scaled to be mounted by He-Man sized figures. 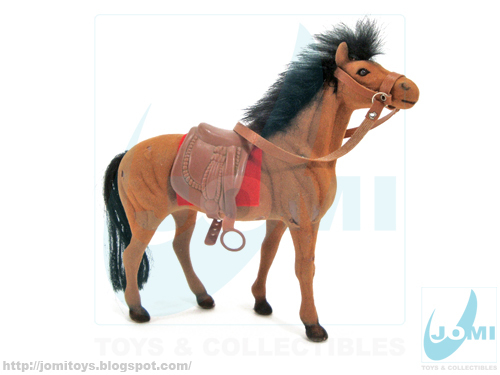 Such as Remco´s Lost World of the Warlord. Fine work. Looks 80s. Transparent glass(plastic) eyes. Another clue I thought, maybe western? No brand markings, just a "5" probably from the mold number. It´s a beautiful piece, no doubt. And fragile too, since the "velvet" skin over the plastic seems to need very special care. And here´s the proof! Sport-Holiday box. 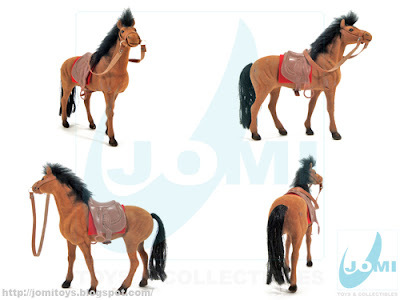 These horses could be found in all 3 colors independently. Case closed! 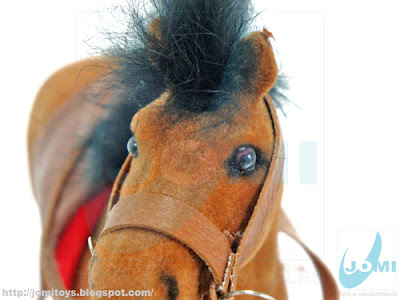 Very nice-looking horse! Wish I could help though it does look familiar to me. Lmk if you think of something! This looks like a pony world flocked horse or something very similar. 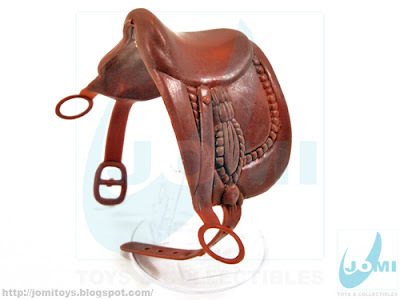 I had one in the 90s with the exact same saddle! It came from a pound shop. Do you only trade him? or could you sell it as well?